I've worn prescription glasses since I was 13 years old, with a brief break when I got married after laser-eye surgery, and for a long time I hated them. These days I'm resigned to the fact that I need glasses and spend much more time searching for the right styles of frames. High street glasses places were great, until I realised how much my glasses are costing these days. It made me realise that I needed to search online to see if there was a better deal, and there is! Buying new glasses is no longer a pain, I can just get my prescription from the optician and buy my glasses online. 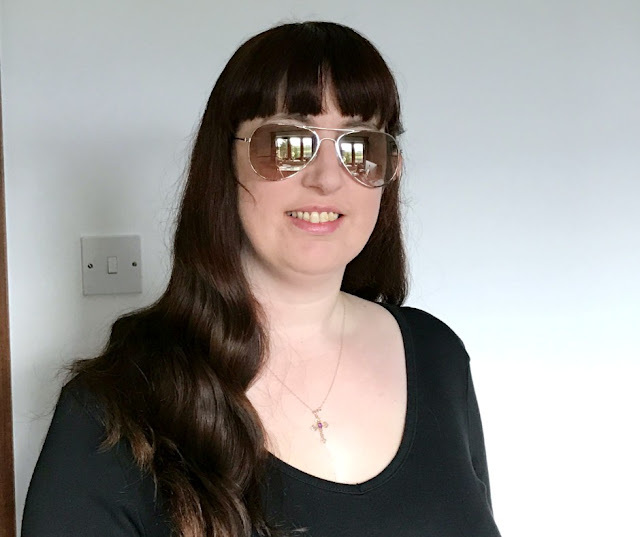 Having spent a little time online I found perfectglasses.co.uk, a website that offers both prescription and non-prescription glasses and sunglasses. The last time I bought regular glasses they cost me around £180, they weren't designer glasses but I did have some extra things on the lenses due to the issues with my eyes. The most annoying thing was that the cheapest frames in the style I liked started at £89! That's before I've had anything done to them. I understand that the frames are my choice but still, that's a lot of money and I still need to add to that. Anyway, I digress. On perfectglasses.co.uk you could spend a long time just settling on the style of frames you like. The website is easy to use and you can use the handy drop-down menus to filter your search results, you can choose from style (rectangle, oval, aviator, etc), frame type (rimmed, semi-rimmed, rimless) and a few other things. All the drop-down menus help to refine your search and in the end you get exactly what you're after, or close enough. They even have a section where you can specify the measurements of the glasses you'd like. By using this method I was able to find a pair of glasses that were almost exactly the same as the ones I'm wearing right now. They are apparently designer glasses (although I haven't heard of the name before) and the frames alone cost £72, add to that the lens coatings I need and it's still pretty pricey. However, after more searching I found some frames that were similar to the ones I like but they cost less. I would suggest looking through the selection of frames page by page rather than fiddling with the measurements because then you get to see everything they have. 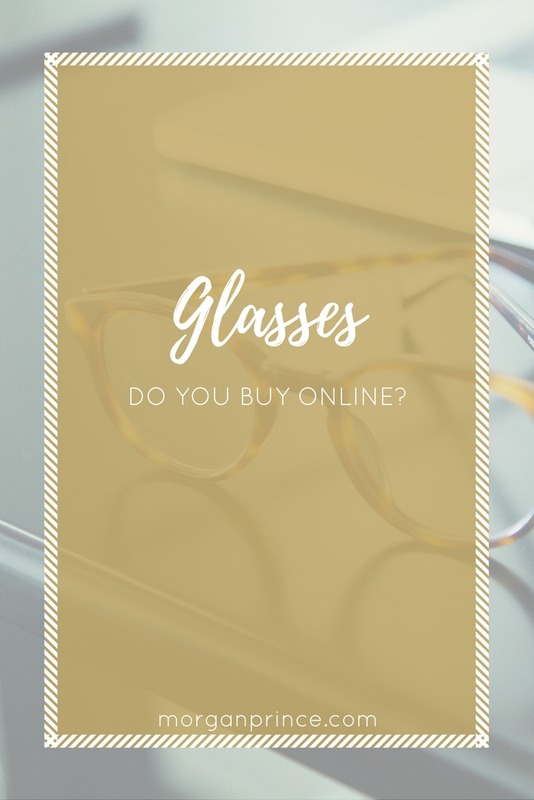 In order to buy prescription glasses, or sunglasses, online you'll need your prescription. With this site that can either be written or in a file that you can upload to their site. If you have it written that's fine because after selecting your frames you'll be taken to a page to enter your prescription numbers. It's all fairly straight forward and if you have any issues there's a telephone number on the page for you to call. During your buying process you can also choose whether you'd like to have tinted lenses or not, so if you're trying to buy sunglasses, for example, you can choose the colour of the lenses. This means that if you've chosen a blue frame you can change the colour of the lens from brown to blue so that it matches! How cool is that? There's also the extra option for lens coatings on sunglasses too to reduce glare. The website has a huge range of styles from full rimmed thick black frames to small rimless frames. They stock many brand names, Dior, Gucci, Police, and Guess, to name a few, and the styles are great. There are colourful frames, animal print frames, anything you can think of really. I could spend hours choosing which style to go for, especially if I was after something different. I'm loving the Hugo Boss range, I might make another sneaky purchase for the summer! The people at perfectglasses.co.uk got in touch and asked me to review a pair of their glasses, which I was happy to do. After searching and settling on a lovely pair of Aviator sunglasses they sent them to me. The glasses arrived in a small package surrounded by bubble wrap. I pulled open the bubble wrap to reveal a lovely black and grey glasses case. The case is shaped so that the glasses fit neatly inside and on opening the case I saw the glasses were protected by two small sheets of foam. I also got a small microfibre cloth to clean the glasses with. The photo was taken indoors because the weather is a little rubbish at the moment! The frame of the glasses is sturdy, the arms don't flap about and when I'm wearing they won't slip down my nose, which is always a pain when you're wearing sunglasses. As long as I don't drop these glasses with the lenses face down I know they'll be just fine. They feel well made and I'm confident they'll last. They don't feel cheap, yet they only cost £29. The price of your glasses really depends on your personal choices, from frames to lens coatings. I saw frames starting from £9 going up to £163. If, like me, you need to make your lenses lighter (because they're so thick!) and you need extra coatings on the lenses you'll need to consider the cost of these too. The cost of coatings depends on the kind but if you need anything other than regular lenses it'll cost at least an extra £10. Delivery is an extra cost too, starting at £5.95 for a regular Royal Mail delivery. For comparison I decided to cost up a pair of Dior glasses, with standard lenses that are ultra thin (extra cost of £30) and delivered via Royal Mail. They'd cost £149.95. After a quick online search I found that buying Dior glasses anywhere else would be significantly more expensive (think nearly £300). While I was nervous ordering glasses online it turned out okay and I'll definitely be doing it again in the future (my prescription changes constantly!). I would choose perfectglasses.co.uk because their range is big enough that I would definitely find something I liked and I can be sure it won't be a ridiculous price. Have you ever bought online? I was sent a pair of glasses to review. All opinions are my own.